Clients Rave about Michele Payn | Michele Payn, Cause Matters Corp.
We really enjoyed having Michele at our event, and the attendees were ecstatic to meet and hear from her. Anecdotally, several people I know shared with me how moved they were by her remarks and it really gave them food for thought, for lack of a better expression!" Thanks for the highly motivational and passionate presentation! You inspired everyone at the conference!" Michele, you have a valuable message that got us out of our comfort zones." Thank you for an outstanding presentation at the Great Lakes Expo's banquet program. You easily connected with our group. Your encouraging message to celebrate agriculture by stepping out and telling our story was a fitting capstone for the evening's program." With Michele's guidance, our science community learned to make their science meaningful on a personal level. Thanks to Michele we are better prepared to have important conversations about agriculture and science." Michele brings a dynamic and exciting presence to her workshops. Running the gambit of Agvocacy to Social Media Training her workshops will help everyone from the novice to the expert in developing their messaging and building a platform." The Agri-Business Council of Oregon hired Michele to present a keynote speech at our Annual Membership Meeting, as well as to facilitate a fundraising workshop with my Board of Directors. She did a fantastic job connecting with both audiences in a way that was entertaining, educational and functional. Her passion for agriculture is true to her heart, and you can see how much it means to her when she speaks. She was worth every penny." Your "Celebrating Agriculture" presentation was very well received. Participants certainly benefitted from your experience to become a source of information to educate friends, neighbors, consumers, etc. about farming and speak up for the industry. Building relationships - one hour, once a week to champion agriculture was a great message to leave the group with. Your presentation was educational and informative!" Michele Payn has been a partner with Pink Tractor since the beginning. From strategic planning to content recommendations, Michele is always on the cutting edge of what is happening in the world, especially in the world of agriculture. Pink Tractor has grown and evolved through the years with the help of Michele’s insights and connections in the industry. We look forward to continuing to grow along with her, as she brings her advocating expertise to our readers through consulting and guest blogging." Michele was Alpha Zeta's keynote speaker at the National Agricultural Leadership Conference and also presented a workshop to the attendees. She did a phenomenal job. Not only was she engaging in her presentation style, but she also presented great information and ideas on how Alpha Zeta members can improve the perception of agriculture in a way that resonated with the students. Alpha Zeta hasn't had a speaker like that in quite awhile." Michele’s presentations “Championing Agriculture” and “Responding to the Rhetoric: Overcoming Activist Claims” were the highlight of our National Corn Grower's Association (NCGA) meeting. Many of our attendees, which included state association staff and grower recruiters, came away from the meeting impressed and energetic about their industry. The six and one-half points to remember when championing agriculture resonated very well and are used by our attendees in their membership recruitment and community relations efforts." The exercises that Michele had us do, interviewing strangers and building bridges with food, helped us all get over some of our self-consciousness." Wow! Dynamic, enthusiastic, energetic right on target, and exemplary are just a few ways to describe Michele and her talents. The custom designed workshops and general session that Michele provided were incredible." It is rare to have a person customize their efforts to our precise needs the way you do...I would have to recommend you to anyone that is really serious about strengthening his or her customer skills work with you. Your ability to identify needs and help a staff develop their own solutions is the best I have seen." Thank you for touching our hearts, opening our minds and literally letting us kick up our heels." You have a special gift to inspire others to champion their cause. I went home and shared your message with my family and friends!" Client Disclosure Policy: This is a partial listing of the clients Cause Matters Corp. has worked with since 2001. 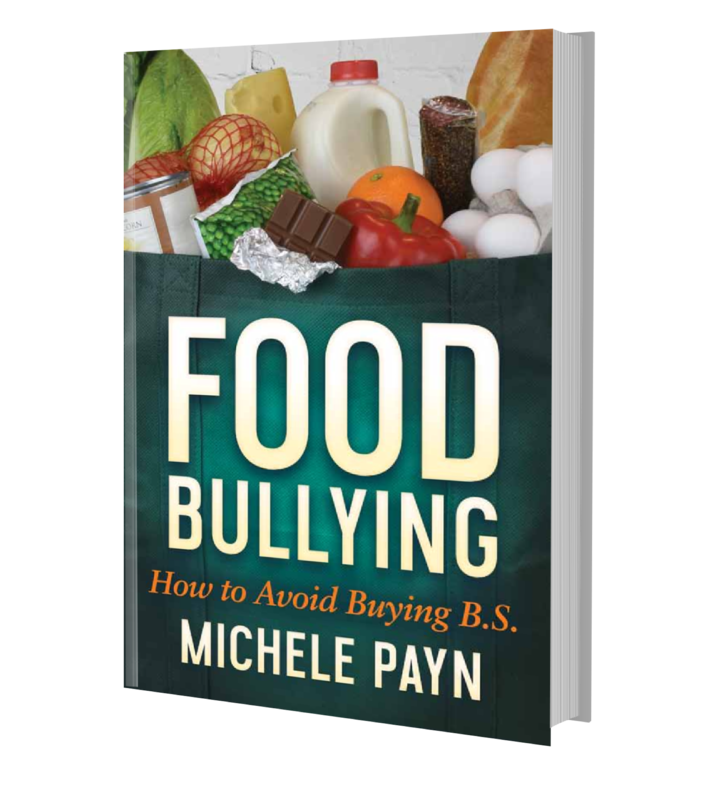 Michele Payn's expertise and passion comes from firsthand experience and extensive research; she does not accept payment from any company or organization to support a particular position or product. Cause Matters Corp. chooses consulting projects based on alignment with Michele's goals around connecting the people and science of farm and food.